I had to add some Outlook 2010 specific GPO’s this week and found the instructions available on the net weren’t quite adequate. So I thought I would explain the procedure I took to get it done. In my case I added all the office admx files and only the corresponding English languages. 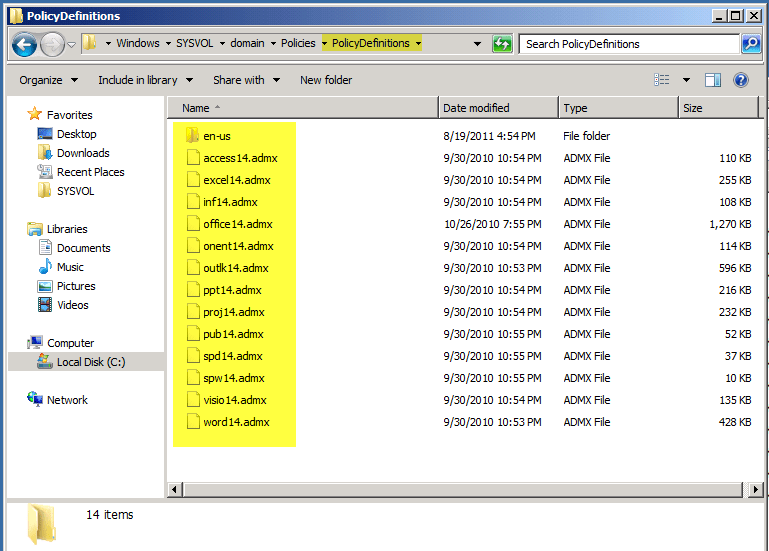 Close your group policy console if open and re-open it. 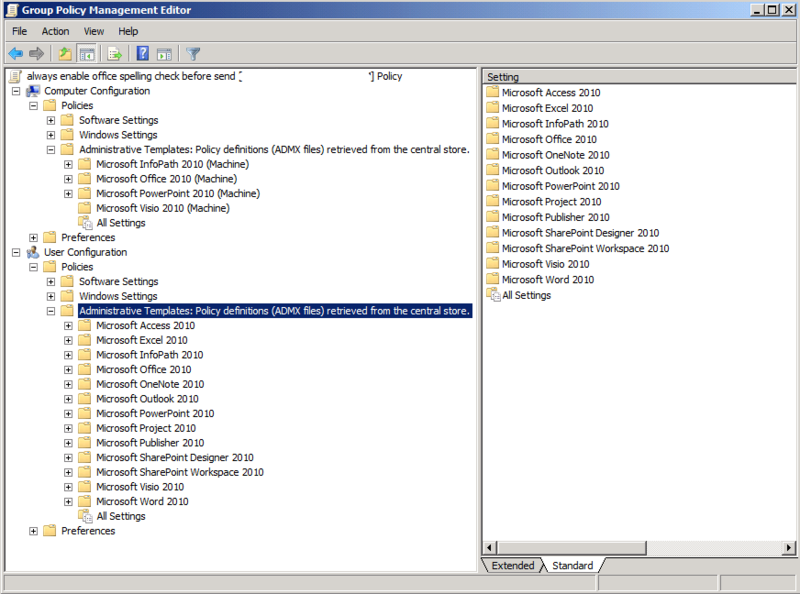 As shown below, all of the Office 2010 admx template files will now show up under Administrative templates since it is retrieving them automatically from the central store. In this particular case I was adding a GPO to automatically check user spelling before sending emails. Thanks for this. 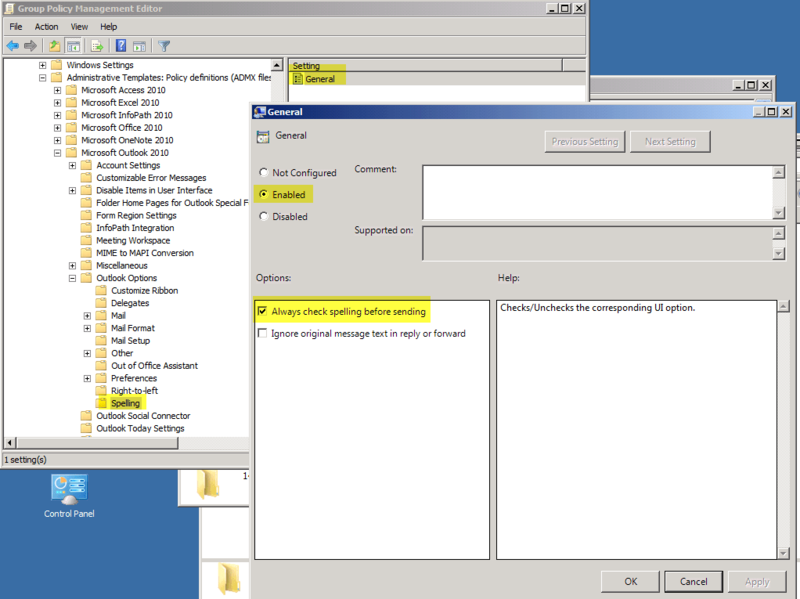 We use GPOs for Windows settings and were looking for a way to do Office settings. The Office GPO page is kind of confusing. Thanks! Excellent instructions. Worked like a charm. Only thing I would suggest is to have the folder structure fully displayed, i.e. put in the “\”‘s.